John Scurr Primary School is situated in Stepney Green, London. 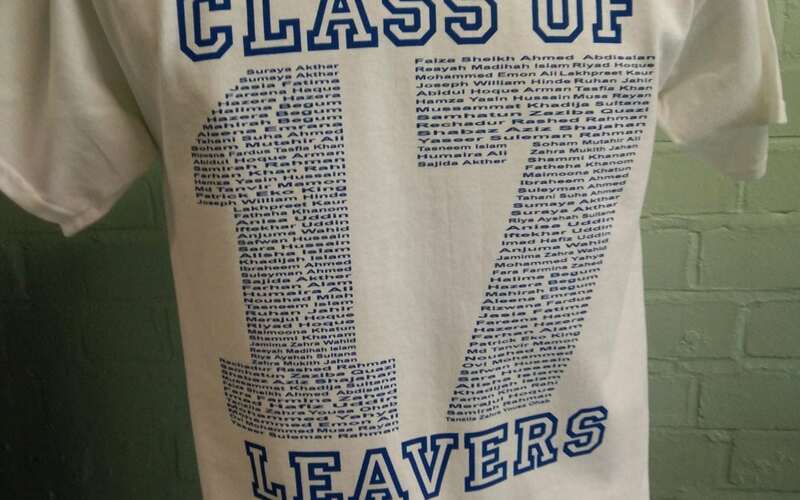 In 2017, we created white leavers t-shirts for students who were leaving the school, to celebrate their time at John Scurr. 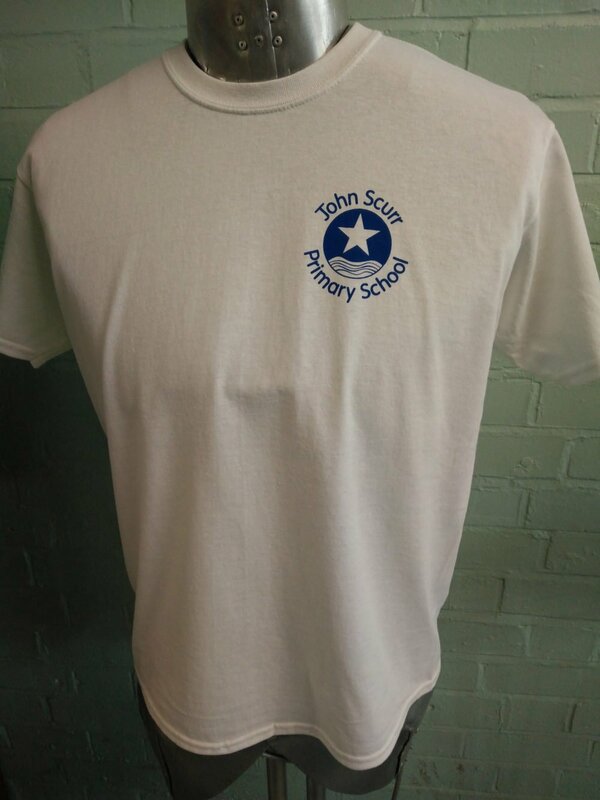 John Scurr Primary School’s logo features a very distinctive star, which really stands out on our white leavers t-shirt. Blue is the school uniform’s main colour, so having this as the colour for the logo and the printed ’17 looks great! 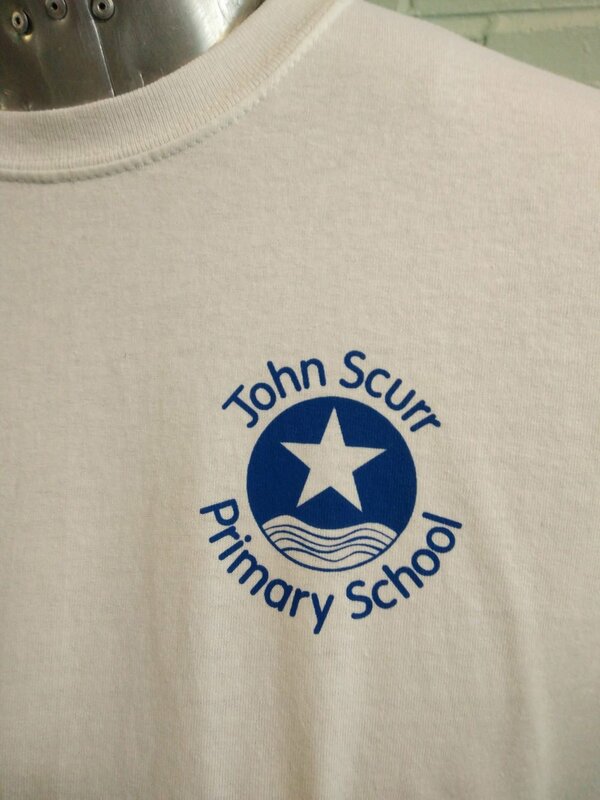 To personalise the t-shirts to 2017’s year group, names of classmates and fellow school leavers were printed onto the t-shirts, in John Scurr’s signature blue. A popular item, alongside our leavers hoodies, leavers t-shirts are available in a multitude of colours and sizes. To find out more, feel free to call us on 01858 461 686.